Lodge 22 of the Elks, member of Press club. -----------------------------------------------------------------------New York Times' obituary, February 14, 1926, pp. 28. Last edited by Bill Burgess; 05-21-2010, 02:34 PM. 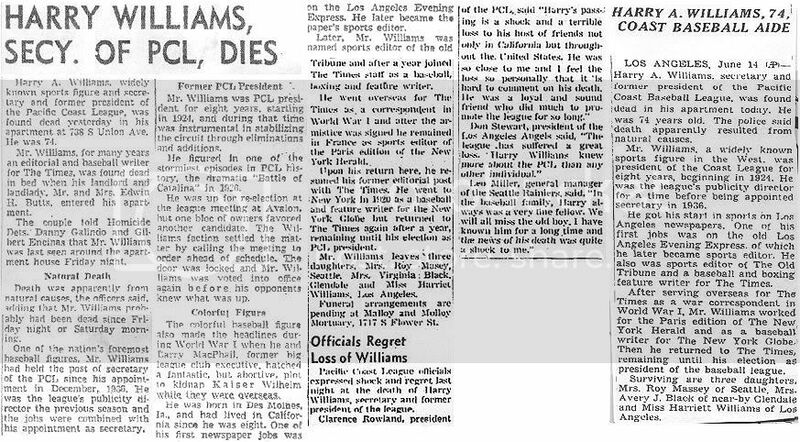 New York Times' obituary, November 17, 1944, pp. 19. Last edited by Bill Burgess; 05-21-2010, 02:35 PM. Joe wrote a baseball book, Baseball's Greatest Drama, 1942. Milwaukee Sentinel, April 9, 1976-----------Milwaukee Sentinel obituary, August 18, 1981.------------------------------------------------------1954. Last edited by Bill Burgess; 02-02-2013, 02:38 PM. Died: November 29, 1933, Brunswick, GA, age 54,---d. heart ailment at Sea Island, Georgia. New York Herald sports writer with daily column (1922). In 1924, Herald merged with Tribune. Father: Hugh; Mother: Teresa; Wife: Sophie Treadmill, born October 3, 1885, Stockton, CA, died February 20, 1970. Bill married Sophie January 27, 1910 in Oakland, CA. 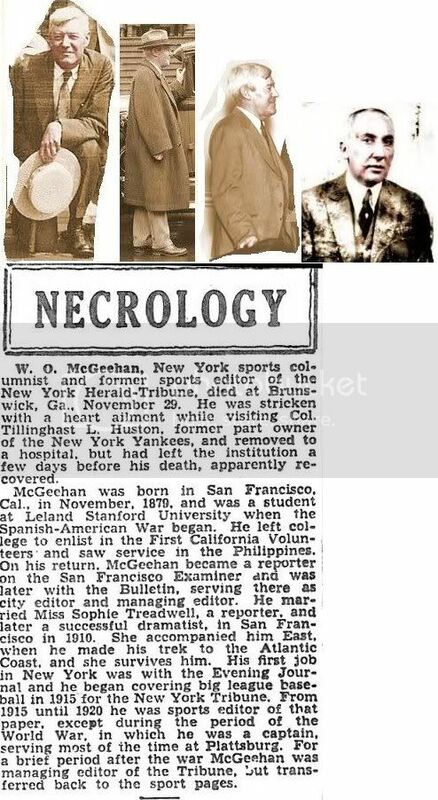 McGeehan is credited with originating the "Aw, Nuts" style of sports journalism. They didn't write to create heroes, blow athletes out of proportion into myths, legends, or cultural legends. They wrote to be critical but fair analysts. Fought to find the men under the hype. He was born to Hugh and Theresa O'Connell McGeehan on November 22, 1879 in San Francisco, California, and died in Brunswick, Georgia, on November 29, 1933. McGeehan entered Stanford University, but left within the first year as he enlisted in the U.S. Army to fight in the Spanish-American War. After the war. he returned to San Francisco, going to work as a reporter for the San Francisco Bulletin. McGeehan continued to work for different papers in San Francisco, including the San Francisco Chronicle. It was during his reporter days in San Francisco that he received the nickname "Sheriff." It seems some 13 desperate convicts had escaped from Folsom Prison, outside Sacramento; one was killed in the escape but the other 12 headed for the state of Nevada. Many posses were formed and McGeehan, wanting to cover the story as a reporter, was deputized and led one of the posses into the Sierra Nevada. This group included a famous Indian Scout, Farro. They walked right by where some of the convicts were hiding and missed them. They made use of bloodhounds, but the terrain got so rough that McGeehan had to help carry the dogs back downhill. The upshot was that 3 of the 12 were captured, but the rest got away. From that time on McGeehan was known to many as Sheriff. In 1910, McGeehan married Sophie Treadwell. Treadwell was a reporter and writer who became famous in her own right for her books and plays in later years. They met while working on one of the San Francisco papers and went East when McGeehan felt is was time to move on. He claimed the old Days weren't that good not much pay, a lot of work and certainly no recognition. Although many of his columns and much of his work was related to boxing, he covered nearly all sports and write at length about his extensive travels. He fished and hunted moose in Canada, and spent much time in Europe especially in the Balkans and traveling around the Mediterranean. He was most often accompanied by his wife, although he referred to her as the woman who is driving me. McGeehan had many excellent descriptive phrases related to various activities: Boxing was the manly art of modified murder or the Cauliflower industry. He called Primo Carnera the "tall tower of Gorgonzola" and referred to wrestlers as Pachyderms. An Italian wrestler was described as "breathing garlic and defiance." He also often wrote of a Salmon named Alphide, a leaping champion from the Meramichi River in New Brunswick, trained as a falls jumper, but died of a broken heart at the base of Niagara Falls. Also, Moe the Moose was named for Moe Levy, a fur salesman in Manhattan. His memorabilia are included with the Treadwell collection at the University of Arizona. ------------New York Times' obituary, November 30, 1933, pp. 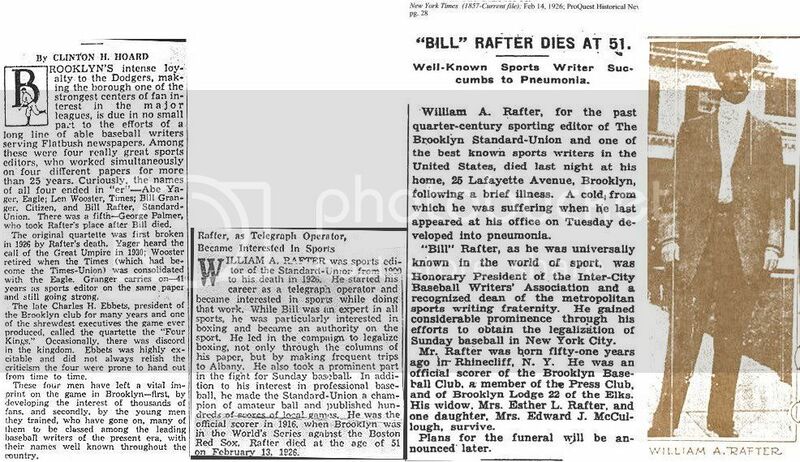 33.----------------------------Sporting News' obituary, December 7, 1933, pp. 2. Last edited by Bill Burgess; 11-12-2011, 04:44 PM. Died: June 14, 1953, Los Angeles, CA, age 74,---d. found deceased in his LA apartment, apparently from natural causes. Lived in California since the age of eight (1886). 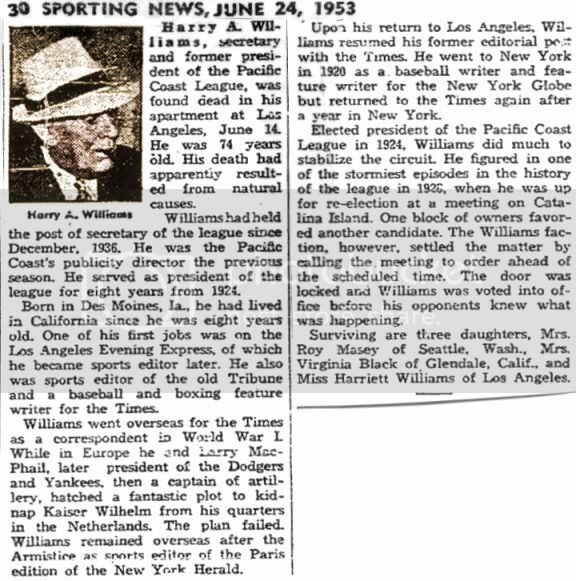 Pacific Coast League, secretary/publicity director, December, 1936 - 1953. Sporting News' obituary, June 24, 1953, pp. 30. 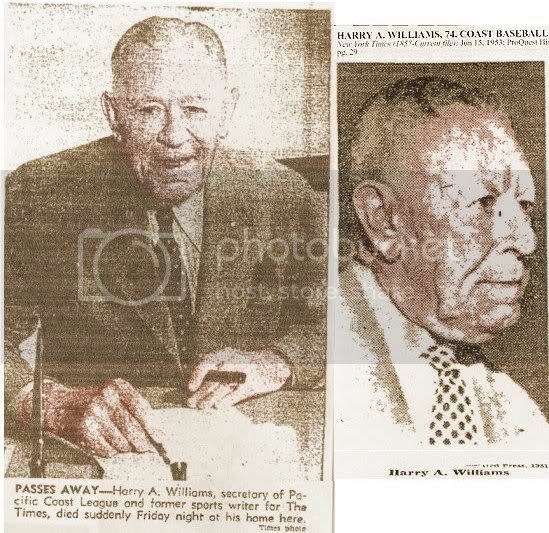 L-R: Harry Williams (Pacific Coast L. Sec. ), W. R. Bill Schroeder, Matt Gallagher, Paul H. Helms (Helms Athletic Foundation). 1950's: Harry Williams, (Pacific Coast League secretary), umpire Ray Snyder, umpire Wally Hood. Last edited by Bill Burgess; 02-02-2013, 01:44 PM. -------------------------Some Sports Writers went on to become the High and Mighty. Some of them include the following 8 former sports writers: Ban Johnson, Charles Webb, Harry Pulliam, John Heydler, Ernest Barnard, Bill Veeck, Horace Fogel and William Locke. Their stories follow in the next 7 posts. Byron Bancroft Johnson---AKA Ban Johnson Few remember that he started as a sports writer, 1886-1893. He studied law at Marietta College, but didn't complete his degree. He played as a catcher while attending college and on semi-pro teams until a thumb injury put an end to his playing career. After dropping from the University of Cincinnati law school in 1886, he took a job as a sportswriter with the the Cincinnati Commercial Gazette and was quickly promoted to sports editor. He gained a reputation as a highly-knowledgeable reporter, and made both powerful friends and enemies by supporting the Players League during the turbulent 1890 season. He later became the sports editor of a paper in Cincinnati, the Cincinnati Commercial-Gazette. 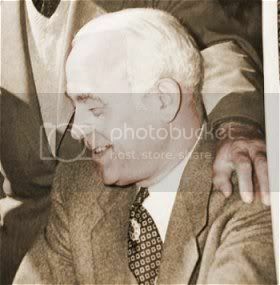 During this time, he befriended Charles Comiskey, who was then manager of the Cincinnati Reds. At the suggestion of both Comiskey and Reds owner John Brush, Johnson was elected president of the Western League, a faltering minor league, at a reorganization meeting in 1893. In 1894 a newly formed minor league, the Western league was looking for a president. Based upon a recommendation by Charles Comiskey, John Brush made sure Ban Johnson was hired by the Western League. Brush hoped that if Johnson were busy administrating a league he would not be writing opinions for the Cincinnati papers which targeted Brush as the brunt of his criticism. The Western League had eight teams including Grand Rapids, Sioux City, Milwaukee, Detroit, Kansas City, Toledo, Indianapolis and Minneapolis - the core of which would turn into the American League. Johnson’s power in the Western League was enormous. He moved franchises, made schedules and signed players to his league. With a group of happy owners supporting him Johnson waited for an opportunity to take the Western League to the next level. The chance came in 1899, when the National League contracted, dumping the franchises in Baltimore, Washington, Louisville and Cleveland. Johnson did not hesitate; at a special meeting of the League he changed the name to the American League and shifted Comiskey’s franchise to Chicago and added another to Cleveland. The National League could have thwarted the American League there in Chicago, but the NL feared the recently defunct American Association would make a comeback which was more disconcerting than the birth of the American League, which they saw as nothing more than another minor league. So the National League and the Chicago Orphans decided to give the south side of Chicago to the American League. Johnson had criticized the National League for its rowdy atmosphere, which was driving away families and women. He set about making baseball more friendly to both. Contrary to the practice of the time, he gave his umpires unqualified support and had little tolerance for players or managers who didn't give them due respect. He fined and suspended players who used foul language on the field. Soon, the Western League was recognized as not only the strongest minor league, but the best-run league in all of baseball. Johnson, however, had a bigger plan--another major league. With the help of Comiskey, who bought the Sioux City franchise and moved it to St. Paul in 1894 after leaving the Reds, he began an ambitious plan of expansion. He got his chance after the 1899 season, when the National League dropped teams in Baltimore, Cleveland, Louisville and Washington, D.C. Johnson moved the Grand Rapids franchise to Cleveland, where they would eventually become the Indians. He also had Comiskey move his St. Paul team to Chicago, where they eventually became the White Sox. The latter move was made with the blessing of the NL, which saw Comiskey's team as a way to head off any attempt to revive the American Association. For the 1900 season, the Western League was renamed the American League, although it remained a minor league. The 1900 season was an unqualified success, and Johnson received a 10-year contract extension. In October, he withdrew the American League from the National Agreement (the formal understanding between the NL and the minor leagues). The final step came on January 28, 1901, when he declared the American League would operate as a major league. He then upped the ante by placing teams in Baltimore, Boston, Philadelphia and Washington. The NL then made a critical blunder by limiting salaries to $2,400--a low sum even by 1901 standards. Johnson, Comiskey and the other AL owners responded by raiding NL rosters, promising disgruntled players much higher salaries. Eventually, over 100 players "jumped" to the new league. After a two-year war in which the AL trounced the NL in attendance both seasons, the NL sued for peace. 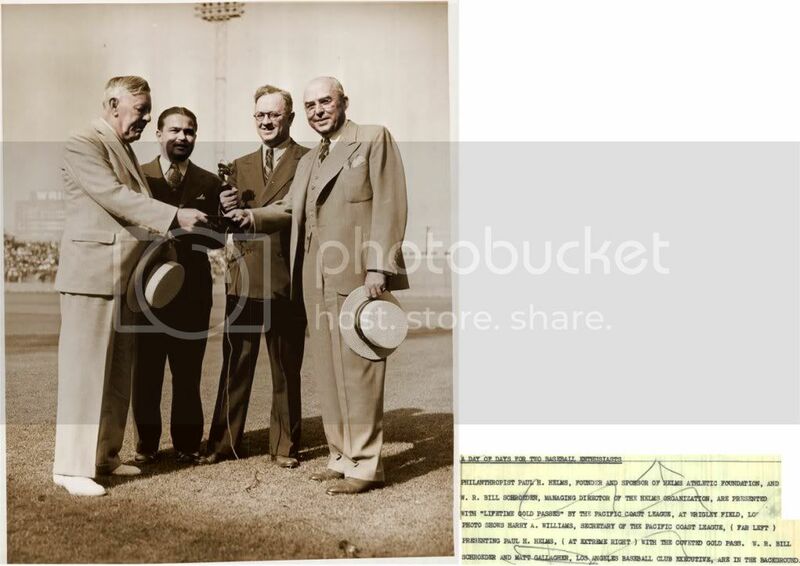 Under a new National Agreement, the AL was formally recognized as the second major league. A three-man National Commission was set up, comprised of both league presidents and Reds owner Garry Herrmann. Although Herrmann was nominal president of the commission, Johnson soon dominated the body. Johnson ruled the American League with an iron hand. He brooked no criticism, and made it very difficult for men he didn't like to buy into the league. For instance, when Harry Frazee bought the Boston Red Sox in 1917, Johnson tried almost from the start to drive him out. Frazee was the first owner in league history not to be virtually handpicked by Johnson. In fact, it was Johnson who started the rumors that Frazee was Jewish and thus not fit to be part of the "noble" sport of baseball. At one point, he even had ownership interests in the Cleveland and Washington teams. There were unconfirmed rumors that he owned stakes in the other six teams as well. The Frazee dispute planted the seed for Johnson's downfall. Eventually, the league divided into two factions, with the Red Sox, White Sox and New York Yankees on one side and the other five clubs (the Indians, Philadelphia Athletics, St. Louis Browns, Detroit Tigers and Washington Senators, known as the "Loyal 5") on the other. By this time, Comiskey had become a bitter enemy of Johnson; the two men's once warm friendship had strained considerably after Comiskey lost Jack Quinn to the Yankees for the 1919 season on a Johnson ruling. Johnson's authority eroded further that year when the Red Sox traded Carl Mays to the Yankees in defiance of a Johnson order to suspend him. The Yankees got an injunction to allow Mays to play. The final nail in Johnson's coffin proved to be the Black Sox Scandal. Johnson blew off Comiskey's claims that his White Sox may have been on the take from gamblers. However, when the scandal broke with only a week to go for the 1920 season, the White Sox, Red Sox and Yankees threatened to pull out of the American League and join a new 12-team National League. The enlarged league would include a new team in Detroit unrelated to the Tigers, who were owned by Johnson loyalist Frank Navin. However, Navin was in no mood for another war and persuaded the other five clubs to agree to appoint a new National Commission of non-baseball men. Federal District Court Judge Kenesaw Mountain Landis was appointed as chairman. However, Landis would only accept an appointment as sole Commissioner of Baseball, with unlimited power over the game. The owners were still reeling from the damage to baseball's reputation due to the Black Sox Scandal, and readily agreed to Landis' demands. Landis was officially appointed on November 12, 1920. Under the circumstances, a clash between Johnson and Landis was inevitable, and it happened prior to the 1924 World Series. Landis banned two New York Giants from the Series for attempting to bribe members of the Philadelphia Phillies late in the season. After Frankie Frisch and two other Giants stars were implicated, only to be cleared by Landis, Johnson demanded that the Series be canceled. He publicly criticized Landis for his handling of the affair, and Landis threatened to resign if the AL owners didn't rein Johnson in. After the Series, the AL owners promised to remove Johnson from office if he stepped out of line again. Johnson remained on good behavior for two years, even getting an extension of his contract to 1935 and a raise to $40,000 (he'd previously made $25,000). 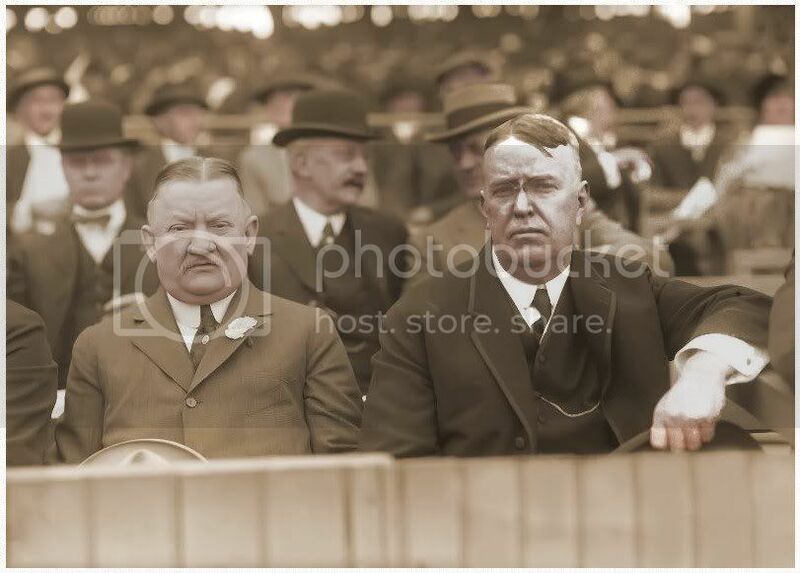 However, in 1926, Johnson criticized Landis for granting Ty Cobb and Tris Speaker an amnesty after evidence surfaced that they had bet on a game in 1919. Landis demanded that the AL choose between him and Johnson. The AL owners were prepared to remove Johnson from office at their annual meeting in January 1927. However, Johnson was in ill health at the time, and the owners decided to put him on an indefinite sabbatical instead. Johnson tried to return in the spring and acted as if nothing had changed. However, the situation had become untenable, and Johnson was forced to resign at the end of the season. Johnson died at age 67 in St. Louis, Missouri. He was elected to the Baseball Hall of Fame in 1937 as one of its charter members. The athletic field house at Marietta College is named in his honor. --------------------------------------------------------------Garry Herrmann/Ban Johnson: 1914 World Series, Fenway Park, Boston. Last edited by Bill Burgess; 12-22-2011, 09:37 AM. Charles Webb Murphy---Few remember he started as a Cincinnati sports writer. Died: October 16, 1931, Chicago, IL, age 63---d. at his home, had been ill since June, when he suffered a stroke of apolexy. Voted out of NL for accusing umpires of corruption, February 21, 1914. Moving to Cincinnati to study pharmacology, Murphy graduated from pharmacy school and worked for a while at Keenan's drugstore. Before long, however, he quit to become a writer for the Cincinnati Enquirer, a newspaper owned by Charles Phelps Taft, the older half-brother and advisor of future president William Howard Taft. Murphy eventually became sporting editor, and in that position he became friendly with John T. Brush, owner of the Cincinnati Reds. 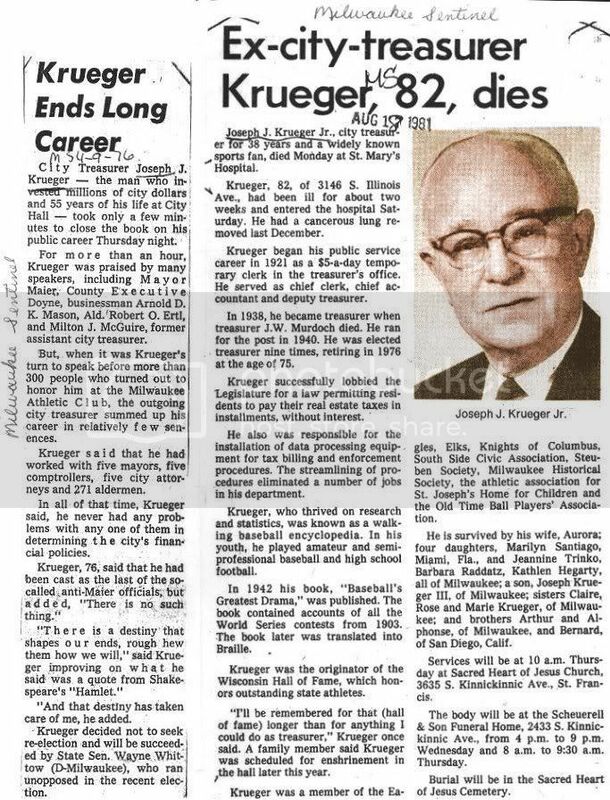 The young baseball writer left the Enquirer to become assistant city editor at the Cincinnati Times-Star, but he wasn't there long before Brush hired him in 1905 as press agent for the New York Giants, the first press agent a baseball club ever employed. 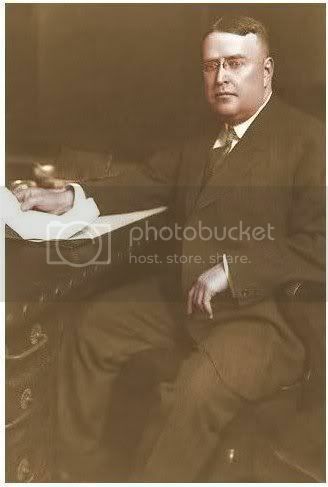 Charles Phelps Taft, who owned the Cincinnati Enquirer newspaper, loaned Charles Webb Murphy the money to buy the Chicago Cubs, and he was also the real owner of the Philadelphia Phillies. Taft was a heavy stock-holder of the Cubs, while he also owned the Phillies. Obvious conflict of interest. After the 1906 season, the Cubs made such a profit, that it allowed Murphy to repay his loan to Taft. Last edited by Bill Burgess; 05-26-2011, 01:13 PM. Henry Clay Pulliam---AKA Harry Pulliam Few remember that Harry began as a sports writer. 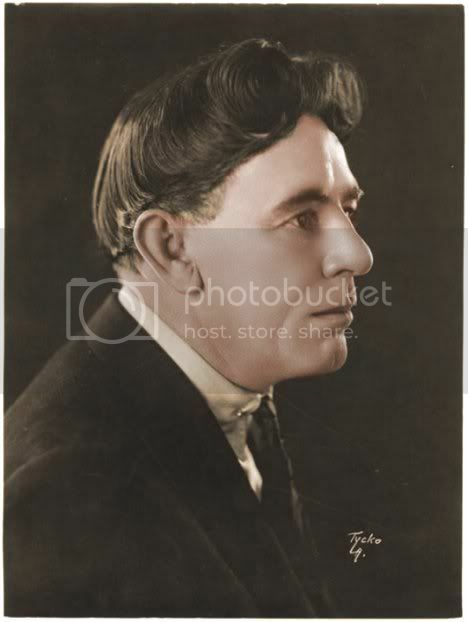 Profile: Harry C. Pulliam was born in Kentucky on February 9, 1865. After leaving college he studied law, but never opened a practice choosing instead to do newspaper work, where he was an authority on baseball. He also worked with the National League's Louisville Club until 1899, when it was contracted. Pulliam was not out of work long Louisville's owner Barney Dreyfuss bought the Pittsburgh Pirates, and took many of Louisville's best players with him. In addition he took many people he worked with in toe front office including Pulliam. Other NL owners were impressed with Pulliam's intimate knowledge of the league and its players, and in 1903 he was voted League President. In addition to being President, Harry Pulliam also filled the roles of the league's Secretary and treasurer. 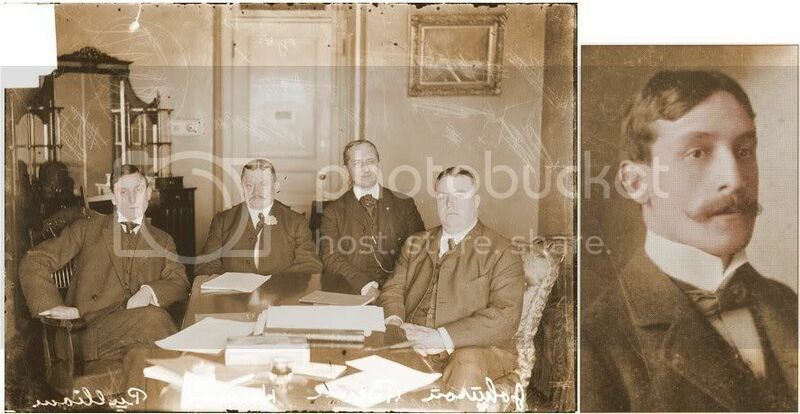 However after a few years the stress of 3 jobs began to wear on Pulliam and John Heydler was hired to fill the roles of treasurer and secretary to for Pulliam to work on league affairs in 1907. However, Heydler continued to struggle with health and emotional problems often taking off on trips for weeks without contacting anyone. This worried NL owners to the ability of his service. 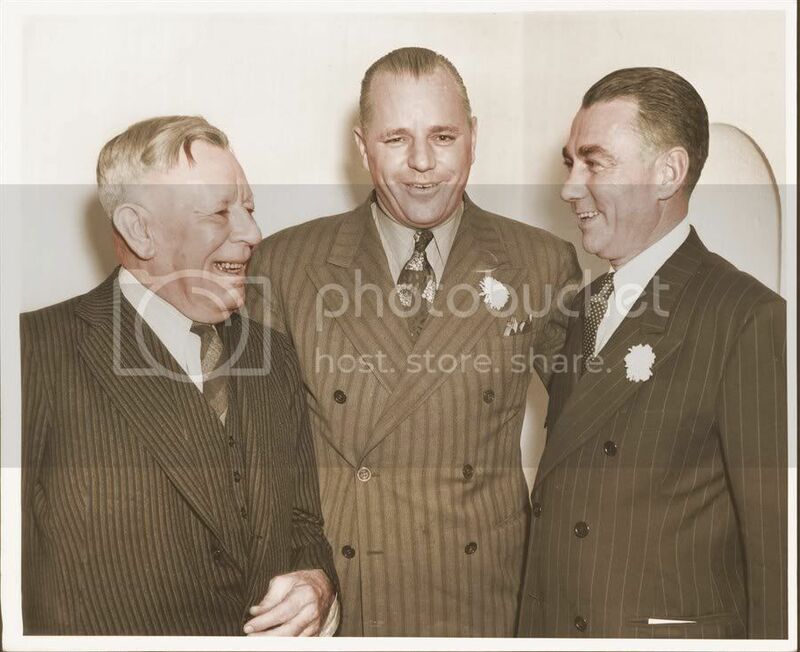 Other NL owners did not like the fact that Pulliam seemed to let AL President Ban Johnson have all the power on the 3-man National Commission on Baseball. The sensitive Pulliam did not take well to criticism and drew deeper into depression. On July 28, 1909 the unthinkable happened. 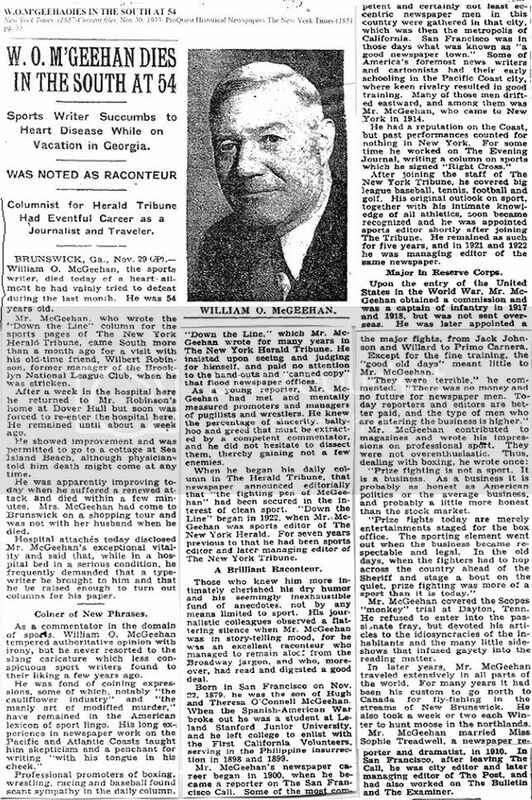 After a long day Pulliam returned to his room at the New York Athletic Club, and took his own life with gunshot wound to the head. He was only 44. On August 2nd all NL and AL games are postponed, for the first time in history as a tribute. Last edited by Bill Burgess; 02-02-2013, 01:56 PM. 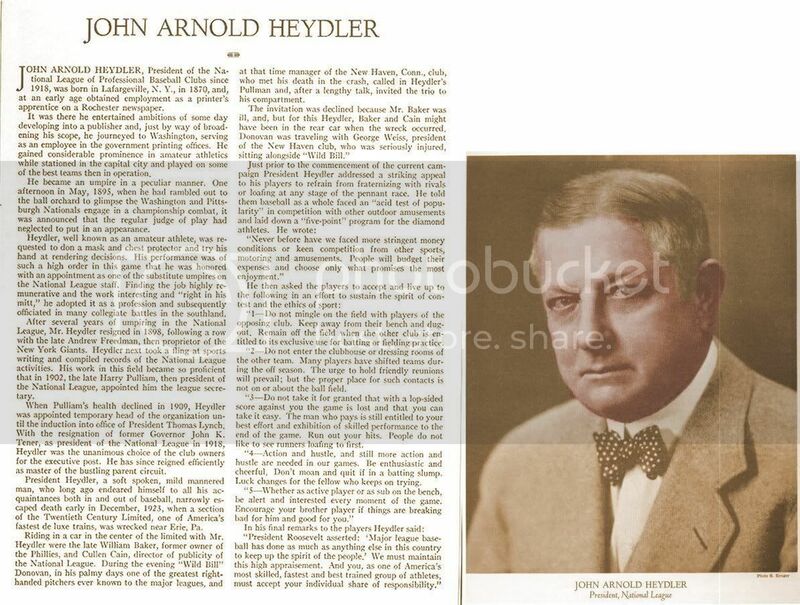 John Arnold Heydler Few remember that he wrote sports too. 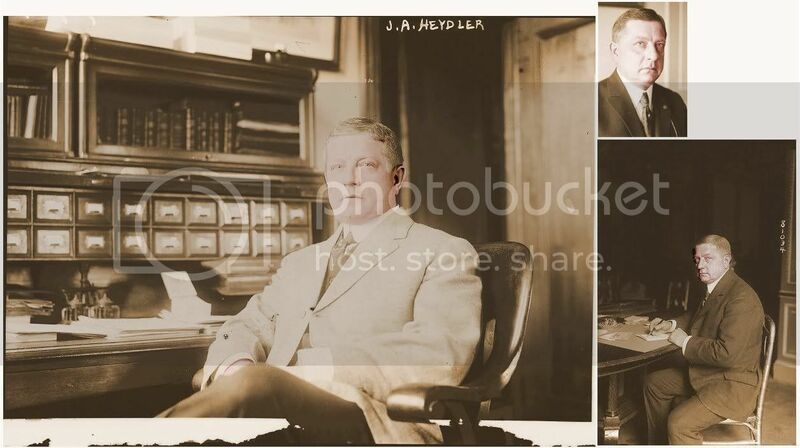 John Arnold Heydler (July 10, 1869 - April 18, 1956) was an American executive in Major League Baseball. Born in Lafargeville, New York, he began working as a printer, eventually being employed at the Bureau of Engraving and Printing. He is reported to have recited Casey at the Bat to President Grover Cleveland, while presenting a drafted document for approval. Heydler later began working as an umpire in the National League from 1895 to 1897, and then became a sportswriter. In 1903 he was hired as the private secretary to NL president Harry Pulliam, principally working to compile league statistics. Heydler's work caused him to record much of the league's early history, and he became an advocate of introducing new ways to measure player accomplishments; he was a strong supporter of recording runs batted in for batters, and began computing earned run averages for pitchers. On becoming the NL's secretary-treasurer from 1907-1918, he served as the league president briefly after Pulliam's suicide in 1909. He became NL president again from 1918 to 1934, and pushed for the selection of Kenesaw Mountain Landis as the first Commissioner of Baseball in 1920, realizing the importance of an official who could keep the owners in check. Among Heydler's other accomplishments were helping to establish the Baseball Hall of Fame, and his 1929 proposal of a rule which would allow a tenth player to bat in place of the pitcher – a rule which came about with the creation of the designated hitter in 1973. After retiring as league president, he served as NL chairman until his death in San Diego, California in 1956, aged 86. Source: Who's Who in Major League Baseball, edited by Harold 'Speed' Johnson, 1933, pp. 28-29. -----------John A. Heydler, before he became NL Pres. in 1909. Last edited by Bill Burgess; 08-28-2010, 03:22 PM. Ernest Sargent Barnard He also wrote sports. 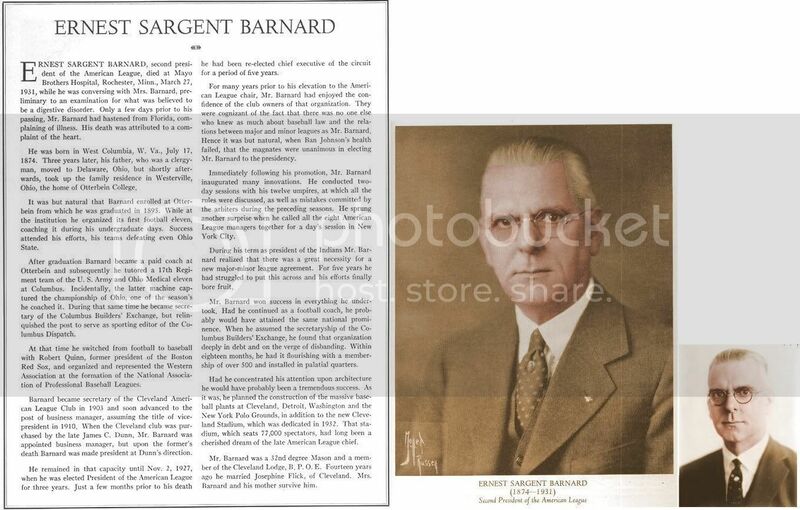 Ernest Sargent Barnard (July 17, 1874 - March 27, 1931) was the President of the American League from 1927 until his death. Born in West Columbia, West Virginia, he later resided in Delaware, Ohio. He graduated from Otterbein College in 1895, and became football and baseball coach there until 1898. Moving to Columbus, Ohio, he became secretary of the local Builders Exchange, and coached football at Ohio Medical University. In 1900 he became sports editor for The Columbus Dispatch. Hired by the Cleveland Indians in 1903, he served that club as traveling secretary (1903-08), vice president and general manager (1908-16, 1918-22), and president (1922-27), often acting as a mediator between AL president Ban Johnson and Commissioner Kenesaw Mountain Landis. 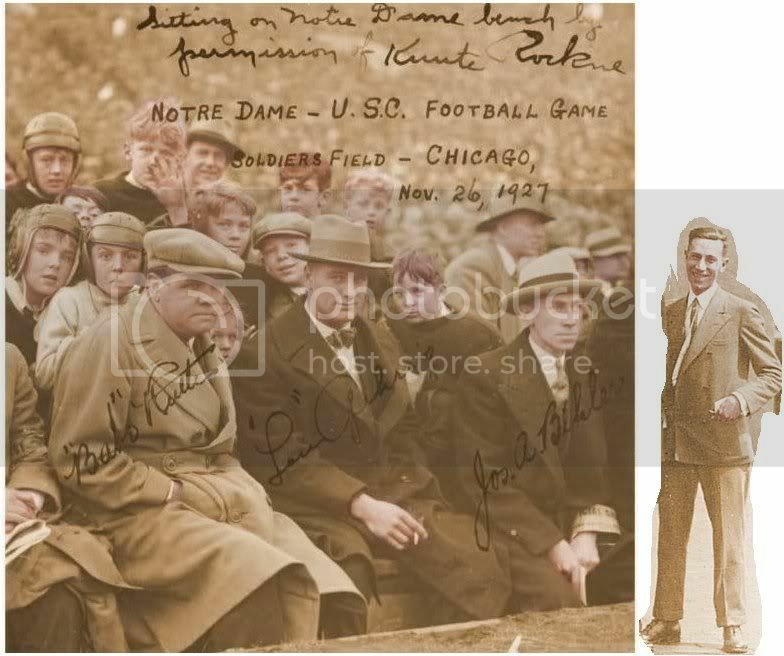 He served under the Indians first owner, Charles Somers, and under their second, Jim Dunn. Dunn had initially fired Barnard upon taking over in 1917. Realizing he'd made a mistake, Dunn brought Barnard back to the team in 1918. Barnard stayed on as president after Dunn's death in 1922, running the team for Dunn's widow and estate. When AL owners in 1927 removed Johnson, the league's founder, from the league presidency, Barnard, after first clearing the way by arranging the sale of the Indians to a group headed by Alva Bradley, replaced him. He was re-elected to a 3-year term on December 9, 1930, but died suddenly 3 months later just prior to an examination at the Mayo Clinic in Rochester, Minnesota; coincidentally, Johnson died just hours later. Source: Who's Who in Major League Baseball, edited by Harold 'Speed' Johnson, 1933, pp. 18-19. Last edited by Bill Burgess; 08-25-2011, 02:38 PM. William Veeck, Sr. was a sports writer and baseball executive. He was president of Chicago Cubs from 1919 to his death in October, 1933. Under Veeck's leadership, the Cubs won three pennants, in 1918, 1929, and 1932. Veeck was a sportswriter for the Chicago's American in 1917 when Cubs owner William Wrigley Jr. hired him to be vice-president of the baseball club. Having won the National League pennant in 1918, Wrigley promoted him to president of the club in July, 1919. Veeck was also the father of Bill Veeck, who is best known for his time at the reins of the Chicago White Sox and Cleveland Indians, and for sending the midget Eddie Gaedel to bat while owning the St. Louis Browns. talks things over with Cubs Manager Jolly Cholly Grimm as spring training begins. Last edited by Bill Burgess; 09-07-2011, 02:01 PM. 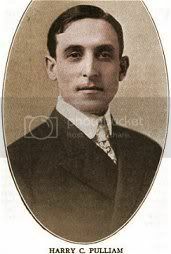 Horace Fogel was a sportswriter who was a manager for two years (1887;1902) and team owner/president for four years (1909-1912). He first became a manager at age 48 with the Indianapolis Hoosiers on July 11, 1887. He then managed the New York Giants from the start of the 1902 season until June 10, 1902 and then was owner/president of the Philadelphia Phillies (1909-1912). 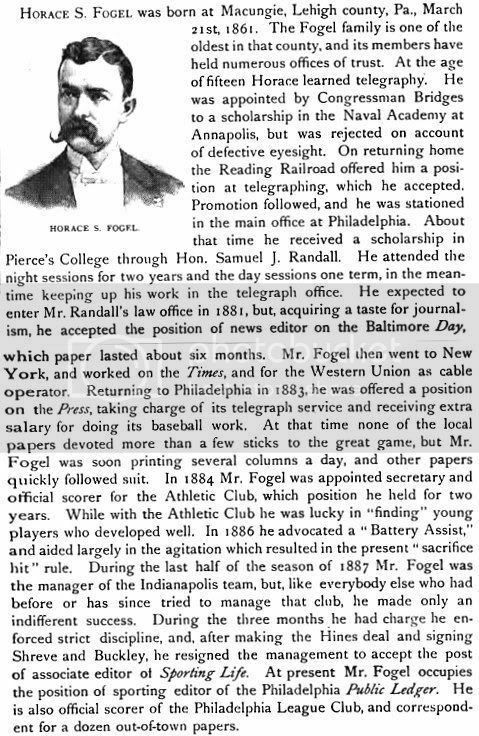 Fogel was a Philadelphia sports writer best known as a baseball authority for Philadelphia newspapers, who, unfortunately for the cities of Indianapolis, New York and Philadelphia, realized his dream of becoming a manager and then a president of a ball club. Although he was merely inept as the pilot of the Hoosiers in 1887, he came close to aborting a Hall of Fame career when, as manager of the New York Giants, he tried to move Christy Mathewson to first base. Even when he was officially fired 41 games into the season, he still hopped back into the dugout from time to time to call the plays - and to get a closer look at his successor Heinie Smith's rival inspiration that Mathewson belonged at shortstop. After being cast aside by the arrival of John McGraw in New York, Fogel returned to his pen and notebook until resurfacing in 1909 as the front man for a business consortium taking over the Philadelphia Phillies. 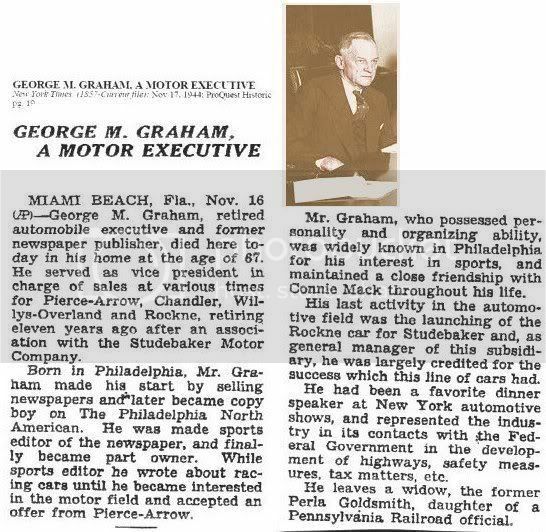 His first insight in his new position was that the club shouldn't be called the Phillies (or the Quakers, as they had also been known), but rather the "Live Wires". To promote this cause, he gave away thousands of watch fobs that featured the image of an eagle holding sparkling wires. Mainly thanks to the pitching of Grover Cleveland Alexander, Fogel's Phillies (as fans adamantly continued to call them), weren't the worst team in the league; Fogel himself, however, had doubts about what was the best team. 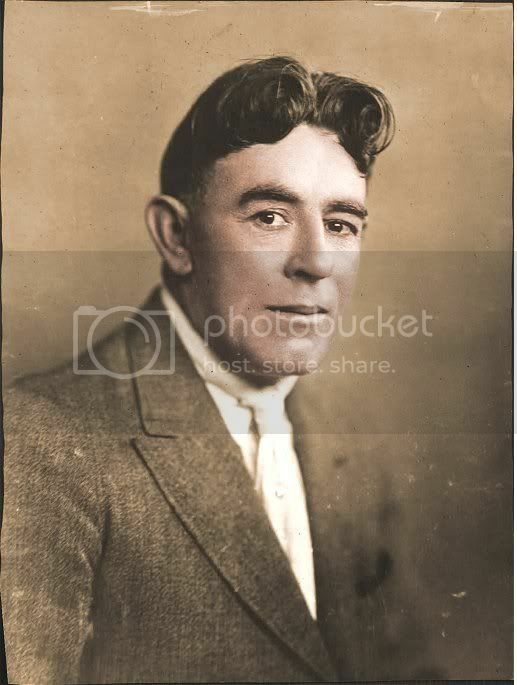 After one too many drunken accusations that the Giants had beaten the Chicago Cubs in 1912 mainly because St. Louis Cardinals manager Roger Bresnahan had not fielded his best nine against his former Giants teammates and because league umpires were pro-New York, he was summoned to a league meeting to back up his charges. When he couldn't, he was banished for having "undermined the integrity of the game". Bresnahan was also ill advisedly removed from his position. He died at age 67 from a stroke after being in poor health his last six years on November 15, 1928 at Philadelphia, PA and is buried at Mount Peace Cemetery in Philadelphia. ---------------------------------------------------------------------------------------------------------------------------------------------New York Times' obituary, November 16, 1928, pp. 29. Last edited by Bill Burgess; 04-01-2010, 07:27 PM. Died: August 14, 1913, Ventnor, NJ, age 43,---d. at home of heart disease, in complication with neuritis, which followed an operation for a tumor in his arm. 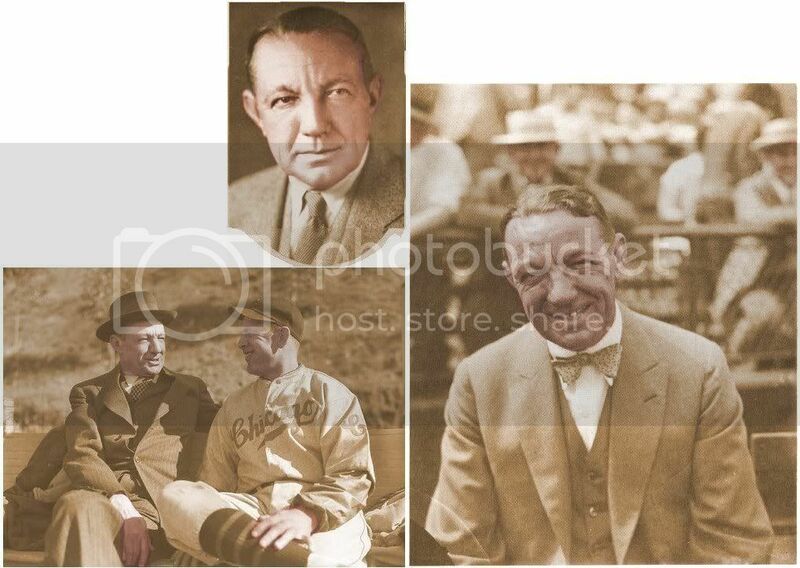 Phillies' team owner, January 15, 1913 - August 15, 1913, his death. William Henry Locke was born in Pittsburgh, Pa., August 27, 1869. His father was a well-known editor of daily newspapers in Pittsburgh, and after graduating from high school, the son became a reporter. After serving an apprenticeship as a "cub, "he turned to sports and soon became sporting editor of the Pittsburgh Press, which paper he served 10 years. In 1903, when Secretary Harry C. Pulliam was elected President of the National League, young Locke was appointed secretary of the Pittsburgh club, and from that time until the Fall of 1912, he held that position with profit to the club and such credit to himself that when the opportunity presented itself the Winter of 1912 to buy the Philadelphia Club from Mr. Taft, of Cincinnati, he was able to raise $400,000 to acquire the property with the aid of his cousin, Mr. W. F. Baker, of New York Governor Tener, of Pennsylvania and a number of high-class local lovers of base ball. He consummated the deal in January, 1913, and in February was placed at the head of the club, which, even in the short time he was able to give it active attention, at once felt the beneficial effects of his intelligence, industry and practical knowledge. Mr. Locke's untimely death came as a distinct shock alike to his relatives, friends and the base ball world at large in which the young man had established for himself a high standing. The consensus of national and local opinion as expressed everywhere --and particularly by those who knew him best--was that the world had lost a good citizen and the base ball family one of the most respected, most able and most popular men ever connected with the sport. Incidentally it was generally recalled that a strange fatality seems to hover over officials of the Philadelphia Club. Colonel John I. Rogers, who was secretary and treasurer of the Phillies for twenty years, died suddenly while on a Western trip. "Iz" Durham, the famed Philadelphia political leader, who, with James P. McNichol and Clarence Wolf, the club's treasurer, lost his wife by death about the same time. 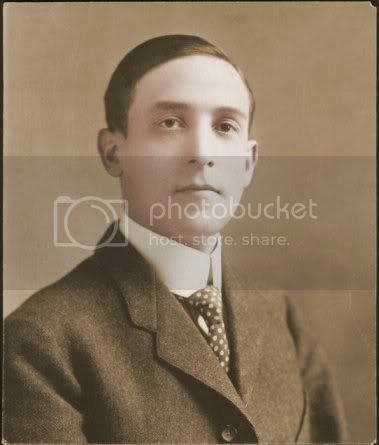 Then lawyer Frank S. Elliott, who was connected with Horace S. Fogel in purchasing the club from Durham and his friends, and was the club's vice-president, was stricken with heart failure during a game at the Philadelphia park and died soon afterward. Now William H. Locke has also passed away. Some grim shadow seems to hang over the office of president of the Philadelphia National League Club. The death of William Locke, news of which saddened the base ball world last week, was only one more gloomy incident, in a long series. 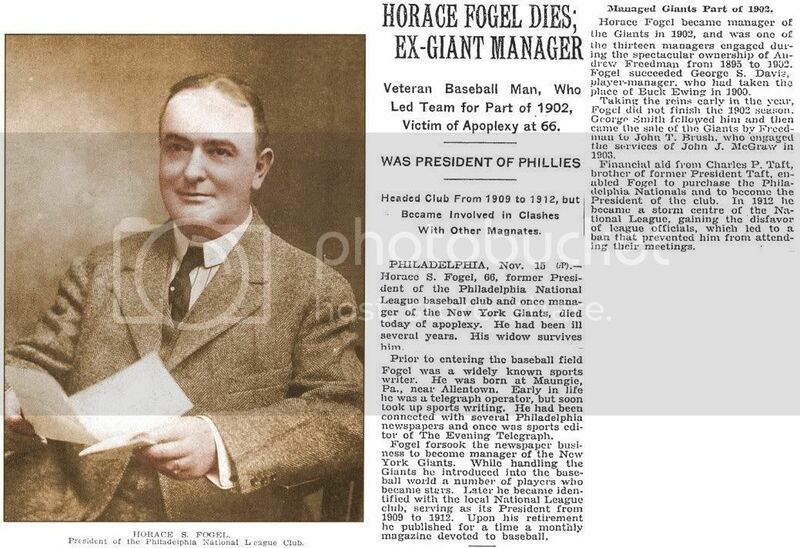 Five presidents of the Philadelphia Club have died in office, and one--Horace Fogel--closed his major league career in trouble and wrangling. Warmer tributes have never been paid a man than those expressed for Billy Locke, for he was a real gentleman, and a beloved friend, a man of broad mind, splendid qualifications and judgment, and a true sportsman. His death was especially saddening, for this grand fellow, after years of faithful work and devotion to the game, had just come to the eminence and honor he so well deserved in the sport he loved and served. Before he could enjoy the meeds and emoluments he had earned, he was stricken down, to use out at a time when the club which he headed had every prospect of its most successful season in a decade. New York Times' obituary, August 15, 1913, pp. 7.--------------------------------------------------------------------------------------------------------------------------------February 11, 1913. Last edited by Bill Burgess; 11-22-2011, 08:26 PM. Was associated with Lou Gehrig, in assisting with his business affairs. He also assisted Babe Ruth as his business secretary. Father: Josepf Bihler, born Germany; Mother: Elizabeih Schnealb, born Germany. Last edited by Bill Burgess; 10-19-2013, 11:33 AM. Died: October 13, 1973, Westbury, NY, age 72---d. at New York's Lenox Hill Hospital of esophageal cancer. Wrote baseball for 12 years before he was given his own TV show. 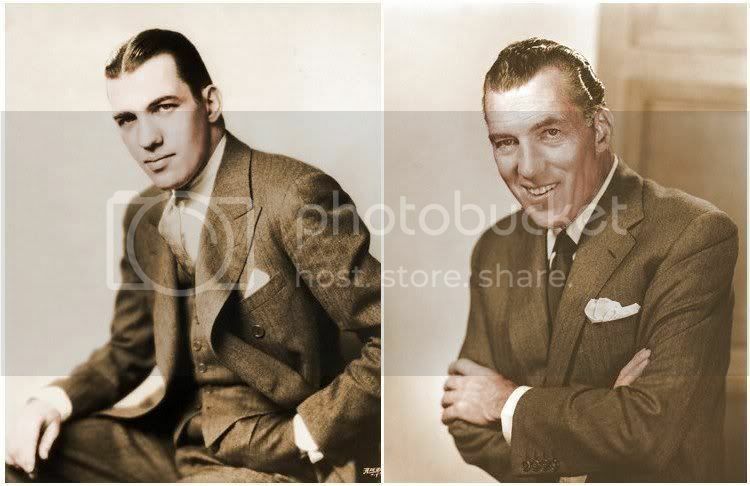 Edward Vincent "Ed" Sullivan (September 28, 1901 – October 13, 1974) was an American entertainment writer and television host, best known as the presenter of a popular TV variety show called The Ed Sullivan Show that was popular in the 1950s and 1960s. Ed gained TV immortality for his long-running Sunday night TV variety show, "The Ed Sullivan Show", June 20, 1948 - June 6, 1971. A former boxer, Sullivan began his media work as a newspaper sportswriter. When Walter Winchell, one of the original gossip columnists and the most powerful entertainment reporter of his day, left the newspaper for the Hearst syndicate, Sullivan took over as theater columnist for The New York Graphic and later for The New York Daily News. His column concentrated on Broadway shows and gossip, as Winchell's had and, like Winchell, he also did show business news broadcasts on radio. Sullivan soon became a powerful star-maker in the entertainment world himself, becoming one of Winchell's main rivals, setting the El Morocco nightclub in New York as his unofficial headquarters against Winchell's seat of power at the nearby Stork Club. Sullivan continued writing for The News throughout his broadcasting career and his popularity long outlived that of Winchell. Sullivan had a healthy sense of humor about himself and permitted—even encouraged—impersonators such as John Byner, Frank Gorshin, Rich Little and especially Will Jordan to imitate him on his show. Johnny Carson also did a fair impression, and even Joan Rivers imitated Sullivan's unique posture. The impressionists exaggerated his stiffness, raised shoulders, and nasal tenor phrasing, along with some of his commonly used introductions, such as "And now, right here on our stage..." and "For all you youngsters out there..." and "...a really big shoe..." Will Jordan portrayed Sullivan in the films I Wanna Hold Your Hand, The Buddy Holly Story, The Doors, Mr. Saturday Night, Down With Love, and in the 1979 TV movie Elvis. In the 1950s and 1960s, Sullivan was a respected star-maker because of the number of performers that became household names after appearing on the show. He had a knack for identifying and promoting top talent and paid a great deal of money to secure that talent for his show. Sullivan appreciated African American talent. He paid for the funeral of dancer Bill 'Bojangles' Robinson out of his own pocket. He also defied pressure to exclude African American musicians from appearing on his show. Unlike many shows of the time, Sullivan asked that most musical acts perform their music live, rather than lip-synching to their recordings. Examination of performances show that exceptions were made. In August 1956, Sullivan was injured in an automobile accident that occurred near his country home in Southbury, Connecticut. Sullivan had to take a medical leave from the show and missed the September 8 appearance of Elvis Presley. Earlier Sullivan had said that he would never invite Presley on his program. Charles Laughton wound up introducing Presley on the Sullivan hour. On a later Presley appearance, Sullivan made amends by telling his audience, "This is a real decent, fine boy." At a time when television had not yet embraced country and western music, Sullivan was adamant about featuring Nashville performers on his program. By 1971, the show was no longer in television's top 20. New CBS executives, who wanted to attract younger viewers, canceled the show along with virtually all of the network's oldest shows. Sullivan was so upset and angry that he refused to do a final show, although he did return to CBS for several TV specials and a 25th-anniversary show in 1973. One year later, the man known as "Stone Face" died October 13, 1974 of esophageal cancer at age 73 at New York's Lenox Hill Hospital, coincidentally on a Sunday night. His funeral was attended by 3,000 at St. Patrick's Cathedral, New York on a cold, rainy day. Sullivan is interred in a crypt at the Ferncliff Cemetery in Hartsdale, New York. Sullivan was married to the former Sylvia Weinstein from April 28, 1930, until her death on March 16, 1973. They had one daughter, Betty Sullivan (who married the Sullivan show's producer, Bob Precht). Sullivan was in the habit of calling Sylvia after every program to get her immediate critique. The Beatles, rehearsing day before 1st appearance, February 8, 1964-----------------------------------------February 9, 1964. Last edited by Bill Burgess; 10-05-2011, 05:09 PM.